This is a sponsored post written by me on behalf of Visit Panama City Beach. All opinions are 100% mine. The weather is warming up and before you know it, school will be out for the summer. But, after the kids have been home for a few days, this will start. What are we going to do today? I’m bored. I don’t have anything to do. I have the perfect solution for that problem. 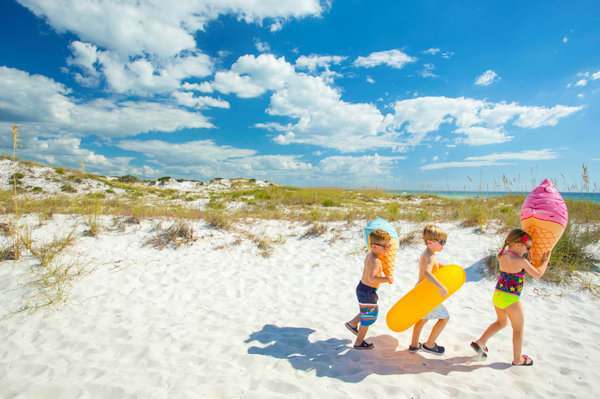 Pack the car, gather the family and visit Panama City Beach. Way before I moved to Florida, our destination vacation for many years was Panama City Beach. It’s the most perfect place for a family to enjoy themselves for several days. Get away from the everyday world where you can relax and have fun. And it doesn’t matter what age you are because there is something for everyone to enjoy. It’s such a fun beach where you can make it yours. Let’s start with the beaches at Panama City Beach. Located on the gulf, the 27-mile-long beach area has sand which is white and sugar soft. I love walking on the beach without shoes. The water is a beautiful turquoise color and the perfect temperature for swimming. I have to say that my favorite part of PCB is where I can sit under an umbrella, feel the coolness of the gulf breeze, enjoy an enjoyable book and watch the world pass me by. But, a person can only be lazy for so long. So, when my adventurous side starts kicking in, my next favorite thing to do is go snorkeling. We usually take a boat cruise, watch dolphins and snorkel at designated areas. The water is so clear to see all the fish, beautiful coral and reefs. You can also jet ski, paddleboard, parasail, and fish if you so desire. Want time alone with your better half? There are so many award-winning restaurants, spas, sunset cruise, golf courses and entertainment to enjoy all year long. The great part is you don’t have to go too far from the beach to enjoy all that entertainment. Our family has enjoyed several restaurants in the area with my favorite being fresh fish. For me, all the adventures and activities are so much fun to experience, but I love that it gives me time to renew with the family. Some of my favorite memories are of my dad when we would sit at the beach with no tv or cell phones to distract us and just talk about anything and everything. A couple of our favorite family activities is playing miniature golf and enjoying BBQ outside at the condo. Laughs and fun with multiple generations, hearing old stories and making new memories. That’s what it’s all about. Plan your fun today and visit the Real. FUN. 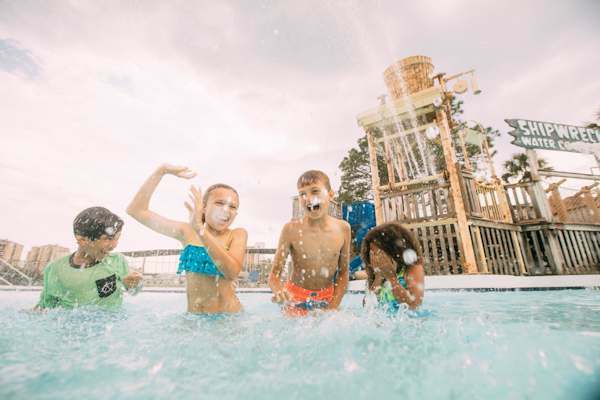 Beach at Panama City Beach to make your memories with your family to enjoy for years to come. Don’t forget Fido!